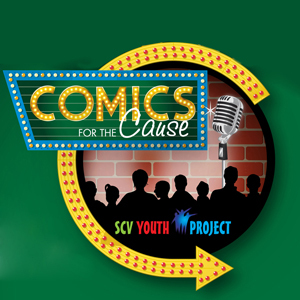 On August 14, at the Santa Clarita Performing Arts Center at College of the Canyons, laugh the night away as 100 percent of the proceeds benefit The Youth Project. This organization helps teens navigate some of life's toughest challenges through counseling and outreach. See your favorite comics from NBC, ABC, CBS, Comedy Central, Showtime, HBO, The Tonight Show and more. The VIP Party starts at 6pm; the show starts at 7:30pm. Tickets start at $40. 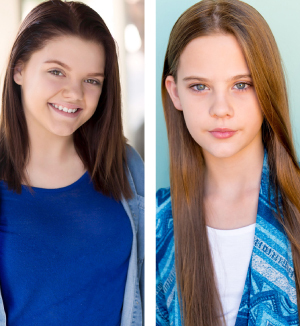 Co-chairs Denise DaCorsi-Placencio, Missy Carter, Tiffany Grummer and Jen Terry cordially invite you to attend the 15th-annual Bras for a Cause event on Saturday, September 15 from 5:30pm to 10pm at Valencia Country Club. "We're anticipating 300 guests, including leaders of our community. It's a fantastic event that kicks off Breast Cancer Awareness Month," says Grummer. "A large portion of all funds raised will minimize costs for women and men struggling with breast cancer," explains Terry. "We donate locally to Sheila R. Veloz Imaging Center at Henry Mayo Hospital and Circle of Hope." Don E Brook Farms might have a Saugus address, but the full-service equestrian spot is all country when it comes to their signature $35 trail rides. Your hour-long excursion begins with a quick two-minute drive up San Franciscito Canyon Road, which will have you saying, "Are we still in Santa Clarita?" The answer is yes, but the raw wilderness of the space will tell you differently, thanks to riverbed scrub trees, alien-looking yucca plants now in bloom and the distinct lack of cell service. Officially unplug when you climb atop your experienced trail horse and take to well-worn paths that weave through the wash that once made history during the San Franciscito Dam disaster. 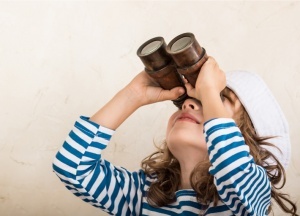 Keep your eyes peeled for deer, foxes, coyotes, hawks... even the occasional vulture, heron or snake. Your trail master and trusty steed will keep you at a safe distance to enjoy the marvels of nature while you calm and connect with friends and family. Recently, a friend of mine - a single mom who likes to be prepared - did a little digging to find out how much money she'd be able to get from social security each month, should she become unable to work with two minor children in her care. The total: $1,600 - $1,000 less than her mortgage. With only $10,000 in savings, and no 401k to draw from, this entrepreneur realized that, should something terrible happen, she would be forced to sell her house, move in with her parents and possibly face bankruptcy. Not one to worry, this action-taker reached out to a local insurance provider to find out what options were available for disability insurance. This add-on insurance product provides financial support in the case where you're unable to work because of an injury or illness, either permanently or temporarily. "Temporarily" is an important caveat, too, because social-security benefits rarely cover short-term illness or injury - but those times out of work can really put a ding in your financial health. 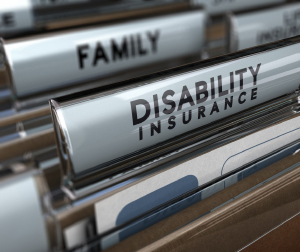 Turns out, disability insurance is incredibly affordable, especially for people who are in general good health. For the small price, it provided my friend with a big relief! Now, should she become sick or injured, she knows that her monthly expenses will be covered until she recuperates - and her kids will continue to have everything they need to thrive, even if Mom can no longer work. It seems like there's a lot of disagreement out there lately, but if there's one statement that gets everyone nodding in the affirmative, it's this: Life is full of uncertainties. When life gives you uncertainty, you tend to double down on the things you can trust. That's part of the reason why the rate of divorce dives during economic downturns. It's not because love is in the air; on the contrary, it's because uncertainty is. When you feel discomfort, it's natural to worry - and those concerns can compound. It can feel overwhelming and, if not addressed, can actively chip away at your state of mind. That's why most therapists agree on a plan of action: Control what you can - and do your best to minimize the rest. So, what does that mean in practice? Well, if you see on the news that a young family is now struggling because they lost their parent in a tragic way, it means doing what you can to minimize those risks yourself - without obsessing over them (And, of course, because we're all good people - it also means exploring ways to help those in mourning.). Wear your seatbelt, look both ways before crossing the street, be aware of your surroundings, always keep your cell phone charged and... consider getting a Trust to be sure that your heirs are covered if something tragic befalls your family. A trust is your "emotional security blanket" in times of uncertainty. It's not only a gift to those you leave behind, but it's a gift of peace of mind to yourself while you're still here. The world is an uncertain place, but knowing that your family is certainly taken care of, even if something bad happens... that's a smart way to cope with the worry of the unknown. Is it Time to Talk about Braces? If your child is 11 and up, the answer is yes - though, in some cases, earlier intervention is necessary. There are good reasons why adolescence is the optimal time for orthodontic treatment. One has to do with the development of the teeth: There's no set timetable for every kid, but generally, between 11 and 13, the deciduous "baby" teeth have been lost and the permanent ones have largely come in. This is the time when you can go to work correcting the problems that cause a bad bite (malocclusion), improper tooth spacing or poor alignment. Orthodontic problems don't improve with age - they simply become harder to treat. Whether you use standard braces, or appliances like palatal expanders, you can create an improved appearance and function in a short period of time. In later years, when the bones of the face and jaw are fully developed, many conditions become more difficult, and costly, to treat. There's even a social element to getting orthodontic treatment in adolescence. If your kid needs braces, they're not alone! Chances are you'll see some of their classmates in the office, and they may even make new friends as they go through the process together. If your child is around 7 or 8, it's a smart idea to schedule an orthodontic evaluation to reveal any early needs. "Do Koalas Really Smell like Cough Drops?" There's still time to see Santa Barbara Zoo's latest guests, Edmund and Thackory. 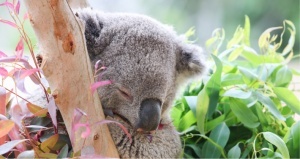 The two male koalas, who are in the midst of their one-year visit as they educate visitors on the challenges facing them and other native Australian species, are housed in a special outdoor exhibit near the Zoo's train station. The pair, like all koalas, nosh on a distinctive diet that gives them a unique scent. To answer that age-old question: Do they really smell like cough drops? Yes, they do smell like their diet of eucalyptus! In fact, that's all they eat. Koalas prefer the "tips," which is young new growth with juicer, softer leaves. If tips aren't available, they will eat mature leaves, and sometimes also buds, stems and bark. They sniff each leaf before eating it, often rejecting those they don't want. They are provided with water at the Zoo, but they get most of the moisture they need from the leaves. Koalas have a specialized digestive system that allows them to eat these leaves, which would be toxic to most other animals. The only other mammals that can tolerate this diet are possums and gliders, which are very small, arboreal gliding possums found in Australia. Edmund and Thackory also have a distinctive smell due to the scent gland that mature males have on the center of their chests. It exudes an oily, musky-smelling substance that stains the surrounding fur, which males rub on trees to mark his territory and to attract females.